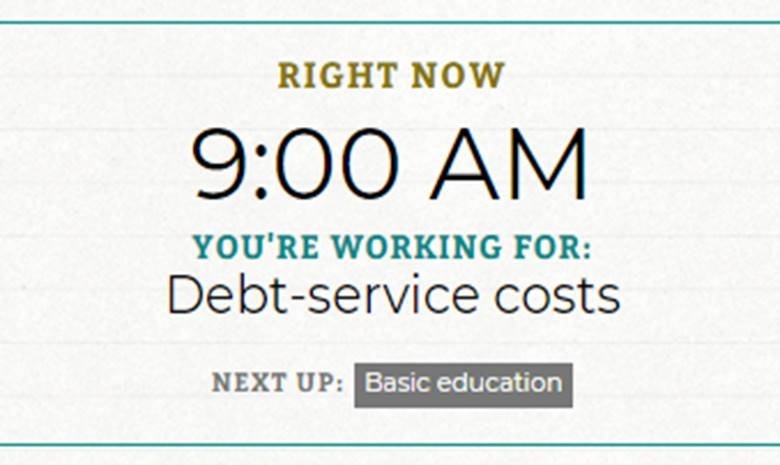 A new site can tell you how many hours you spend on government services and where your money may be going. Tax forms part of your total salary, which means that part of your work day is spent earning money that goes towards the government. So you don’t just pay tax in Rands, but hours too. OpenUp, a local NGO building tools like the popular living-wage.co.za app, aims to make data available and understandable to society. 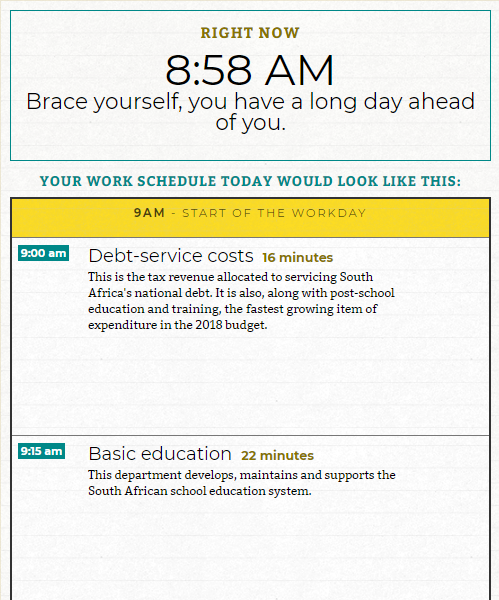 To this end they have just launched www.taxclock.co.za. For example, if you earn R150 000 per annum, you’ll be spending 15 minutes of each work day earning tax that goes towards basic education, and 6 minutes earning tax that goes to police services. If you earn R400 000 per annum you’re spending 18 minutes each day working to pay taxes to the health department, and 6 minutes towards social security funds.